I need a little help. Can anyone give me the link to download a graph sketching software, by which one can draw any and every type of graphs. I have "Geogebra" but that doesn't help me. I need some kindaa perfect graph plotter. Any kind of help will be heartily appreciated. Desmos or geometry pad both are free and available on mobile and PC. May I ask you why Geogebra is not helpful to you? Suppose I want to draw wavy curve graph for the signs of any rational expression, then can it be done using Geogebra ? Honestly, I don't have any idea whether Geogebtra will help with this or not, so I want to know. I do not know what you mean by "signs" but you can certainly plot rational expressions with Geogebra. 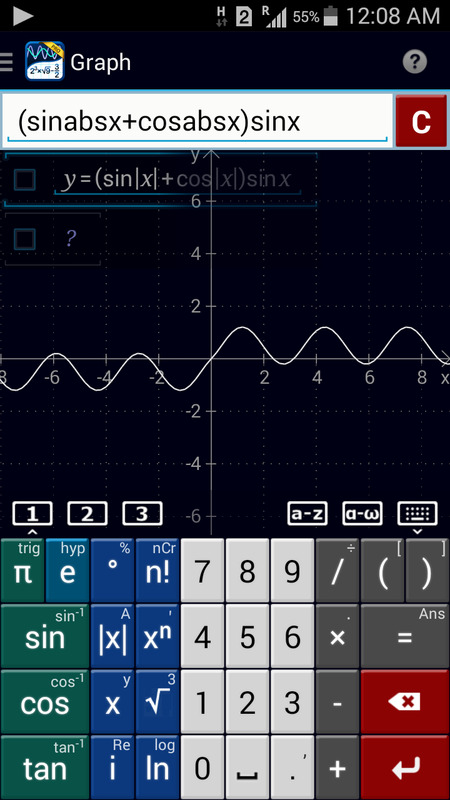 For example, just type y=(x^2+5 x+2)/(x^3 + 7 x + 9) in the input box below. If I want to draw a graph like this (wavy curve method to get the signs of the rational expressions), can it be done using geogebra, if yes, then how ? @Sandeep Bhardwaj – Would you be having the closed form of the function? Is it available for laptop too ? I just gave you the link to calculator in the above note, which you can access from any browser installed on your laptop. But I don't know if Desmos is available in download/offline version for the reason that I always open the above link from my laptop whenever I need a graphing calculator. You can try this,although it is not available for download it is quite good! If someone needs to draw freehand graphs i.e. not graph for any particular expression ? Well, those free-hand graphs you can always draw on a graph paper. Why do you need a software for that?? @Ninad Akolekar – I can do that on paper, but I need softcopy for those graphs. and I can't click a pic of that paper work because I need quite clear work. Like If i want to draw an upward facing parabola, then how to do that ? @Adarsh Kumar – Free hand graphs mean like If i want to draw an upward facing parabola, then how to do that ? @Sandeep Bhardwaj – Ohh well for that one could use paint! @Adarsh Kumar – Paint doesn't work. How will you draw an upward parabola on that ? @Sandeep Bhardwaj – In the shapes area there is one 'curves' option! @Adarsh Kumar – Well. You're quite familiar with paint. Great ! But the images are not sharp in paint. Even drawing a vertical line will not give exactly the line. You can try it out. @Sandeep Bhardwaj – Yeah!I won't be online now,sorry! @Adarsh Kumar – It's ok. Thanks a lot for the help. @Sandeep Bhardwaj – I'm sure you know what the equation of an upward facing parabola is. Geogebra let's you draw one without the equation though. well i dont use much this app but i have an app for graphs called freegracal (searh on app store for graphic calculator) may be it would help. Picture Sir you might like this app its called maths labs.